You are the adventurous type so you decided to camp near the swamp. You also decided to swim. But before anything else, you should be familiar with the place. Perhaps you should ask the locals if crocs and alligators exist in the area. If you found out that crocs and alligators exist in your chosen area, you need to make new plans. 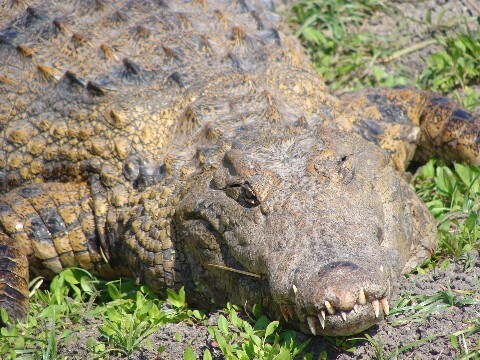 Have you heard about a 12 year old boy who was snatched by a crocodile in Australia? The incident happened on January 26, 2014. The boy was with his friends swimming when they were attacked by a 4m crocodile. After the report, a rescue team was assembled to search for the boy. They are still searching the area for traces of the boy. 1. Stay away from waters with crocodiles. The basic thing to do when you camp near the river is to make sure that it is not infested with crocodiles. You can ask local residents or you can read for advisories. If you decide to swim, do not swim in murky waters. Avoid swimming at night because it is the time when crocodiles hunt. 2. Watch out. If you decide to continue camping, you should be watchful. Do not be too comfortable just because you do not see a crocodile. Crocodiles hide themselves effectively in water. When you ride the boat, do not hang your legs and arms off the boat. 3. Maintain your distance. If you spotted one (or more) crocodile, you should maintain your distance. You should be at least fifteen feet away from the crocodiles. If you can move farther, do it slowly. Remember that crocodiles are fast so the farther you are, the safer you will be. 4. Do not surprise crocodiles. Do not surprise crocodiles because they will feel threatened. When they are threatened, they will hurriedly grab you. When you know crocodiles are present and you want to go near, you should make noises. You can for instance whistle or slap the water. Let the crocodiles know of your presence. 5. Run. Crocodiles surprise their prey. The prey will be stunned thus the inaction. If you see crocodiles pursuing you, run as fast as you can towards the land. Crocodiles will quickly get tired so they will stop pursuing you. 6. Fight back. If despite your best efforts you are still grabbed, you need to fight back. Crocodiles will only deliver a single blow and they quickly let go. When the crocodile lets go, try to move far away from it. If the crocodile does not let go, target the eyes, nostrils and throat. Poke or hit the eyes with whatever you have.